There are morning people. And there are others who decidedly are not morning people. 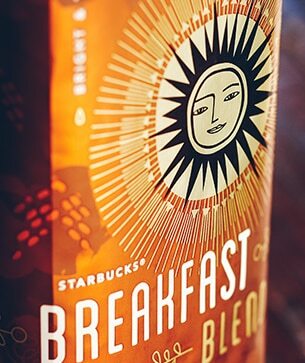 Although the gulf between these two types is huge, we think all can agree that our Breakfast Blend is one fine coffee. It’s a gathering of Latin American beans chosen for their sparkling flavor. Kind of like orange juice and the way it dances on your tongue, this coffee has a get-up-and-going charge to it. But we roast these beans a little lighter than we usually do. So the flavor is lighter-bodied and milder – just a nudge really. What you get is a nice, clean taste with a sunny disposition. Whether your cup is half full or half empty, it’s all good. Blueberry muffins and the morning paper.